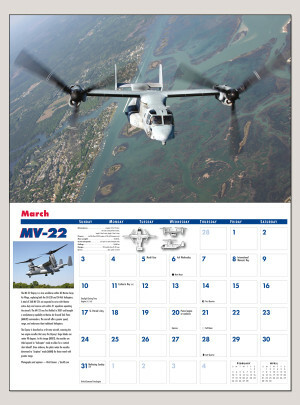 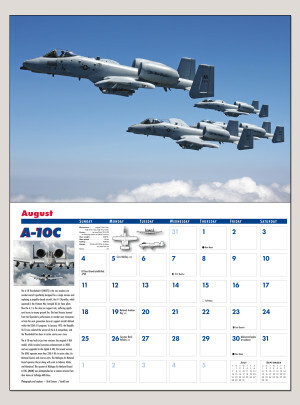 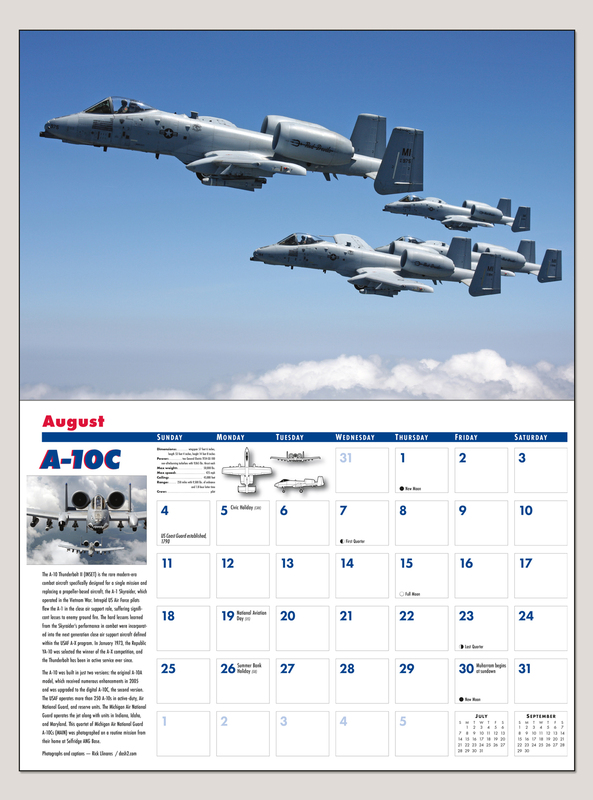 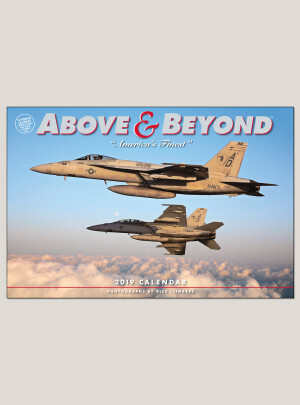 Push the envelope with breathtaking aerial photos of Air Force, Marine, Navy, and Air National Guard units in the Above & Beyond™ calendar. 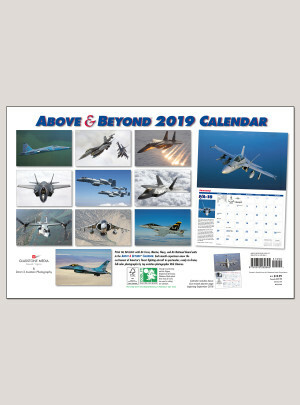 Every month, experience the glory of flight with spectacular ready-to-frame photographs of America’s finest fighting aircraft by top aviation photographer and author Rick Llinares. 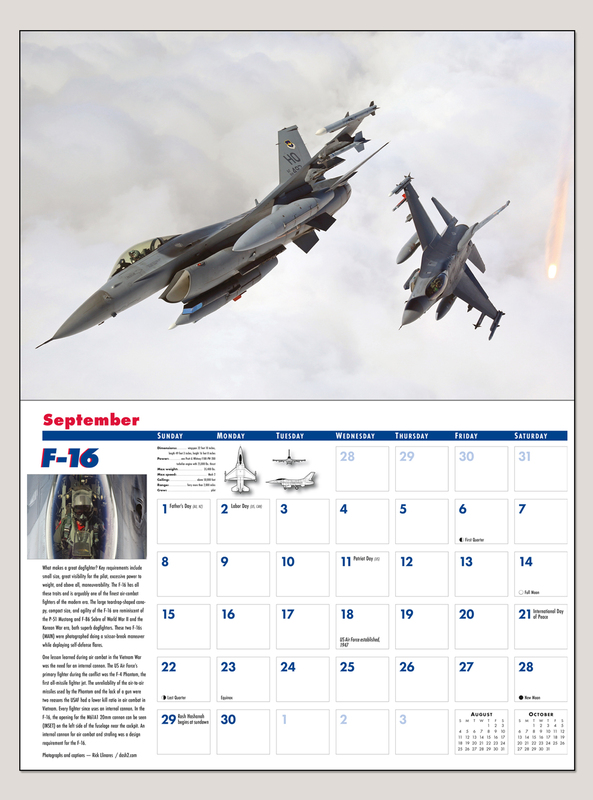 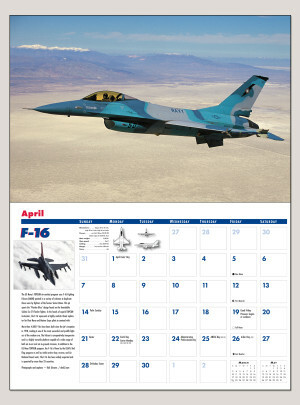 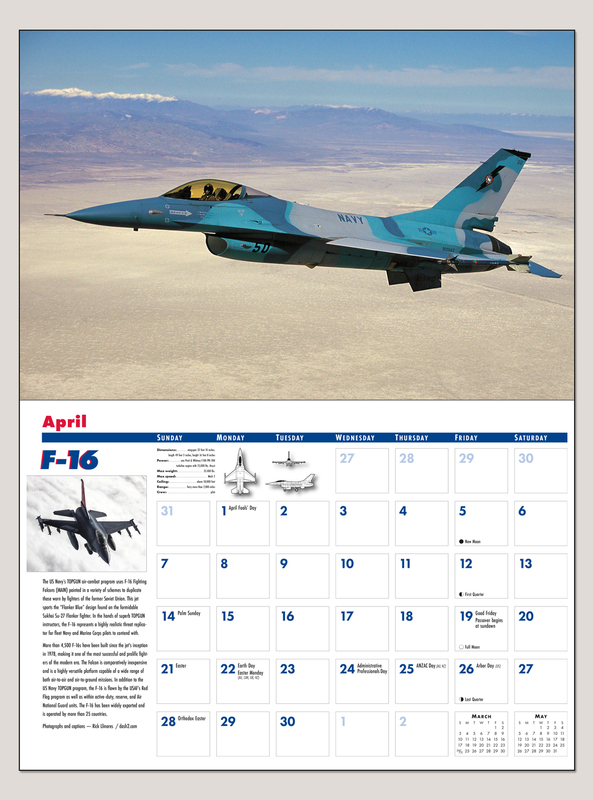 Featured aircraft include the F-35 Lightning II, F-16 Falcon, F/A-18 Hornet, F-22 Raptor, and the F-15 Eagle. 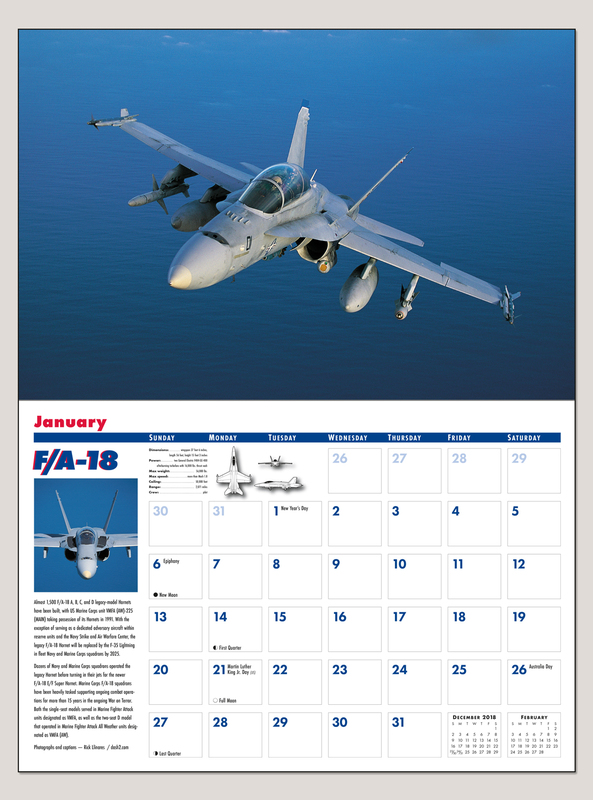 Always a pleasure to purchase one of these EVERY year! Get one for my air show buddy also. Rick has a GREAT eye and perfect timing!